The music for I Can Change is available below. 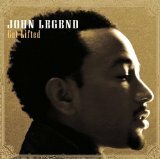 I Can Change was penned by John Legend. If you would like to leave a review of the John Legend sheet music on this page, then please click on the tab "Comments". If you are on Twitter or Facebook, and you would like to tell your friends about this piece of music, then please navigate to the share icon where you can choose from a variety of social media platforms to share this song. You can choose from 1 arrangement for 4 instruments for the composition I Can Change.